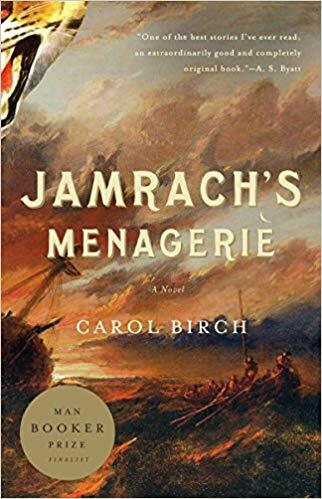 The Best Book of the last ten is Jamrach’s Menagerie by Carol Birch! Highly recommended: Killers of the Flower Moon by David Grann! Classics Club has announced another spin, in which we post 20 books from our Classics Club lists. On April 22, the club will pick a number, and that will determine the book we read for our spin by May 31. 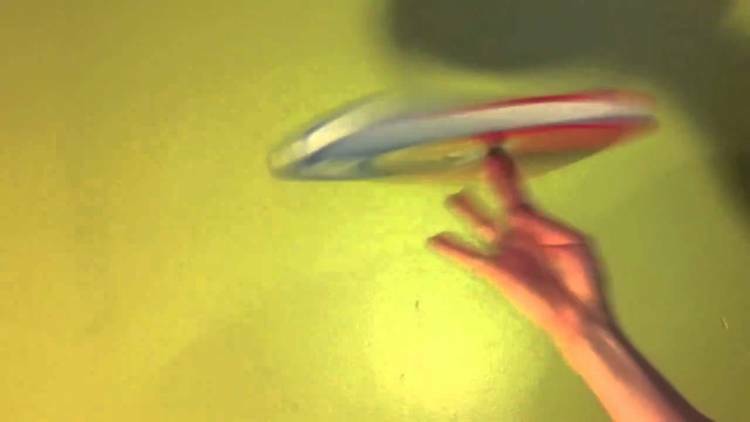 So, with no further ado, here is the list for my spin. 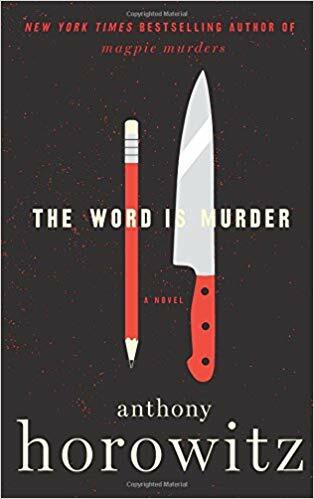 Anthony Horowiz does an unusual thing in his new mystery. He inserts himself into his novel as a character. It’s not just first-person narration by a fictional character, because he mentions projects he has worked on in real life. He is approached by Daniel Hawthorne, a brusque ex-police detective, who wants Horowitz to shadow him on a case and write about it. Horowitz is hesitant at first but soon gets interested in the case. Diana Cowper is murdered on the same day that she met with an undertaker to plan her own funeral. There may be some connection to an accident she had nearly ten years ago, in which she hit two boys with her car when they ran into the street. One was killed and the other badly injured. She has received threatening letters from Alan Godwin, the boys’ father. Diana’s son Damian is a famous Hollywood actor who returns for his mother’s funeral. Horowitz assumes Diana’s murder is connected to the car accident, but then Damian is murdered, too. Frankly, I was underimpressed by Horowitz’s last mystery, and I probably wouldn’t have read it if I hadn’t run across it in the library. I felt it was too concerned with the complicated plot and too little with the characters. Right off the bat with this novel, I felt uncomfortable with Horowitz’s angle of making himself a character. I didn’t really like the narrative style. I was really offended, though, when I realized that he kept important information that was vital to discovering the solution until the last 100 pages of the novel. That’s just plain cheating. Horowitz has written screenplays for very good mystery shows, but his novels seem superficial and facile to me. I feel that his approach is more suited to television than to novels. I don’t normally read celebrity biographies or memoirs or, for that matter, very many autobiographies at all, because I don’t expect them to be truthful. Or let’s just say, I expect them to leave a lot out. Also, I’m not interested in celebrities so much as literary or historical figures. 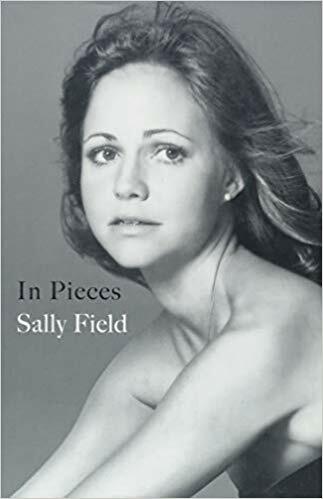 That being said, I was struck by how forthcoming Sally Field seemed in an interview, so when I saw In Pieces at the library, I decided to read it. Field talks of a lifelong battle between what she needed to do for herself and what she needed to do for other people. The roots of her problems and her lack of confidence in herself seem to lie in the sexual abuse she underwent throughout her childhood at the hands of her stepfather and her mother’s reaction when she told her. Because of that, she learned to separate herself from her emotional life and only connected with it when she was acting. Also interesting is her struggle to get herself taken seriously after her role in The Flying Nun. This problem haunted her career, even after she took on some difficult parts. I found this an affecting and interesting book. It is well written and involving. So far, the Austen Project, for which current writers rework Jane Austen’s novels within a modern framework, hasn’t worked for me. I have a theory that the readers who like them are reading mostly for plot, whereas I read Austen for her quick but subtle wit and her precision. Let’s face it, although humor is always in style, these days subtlety is not. 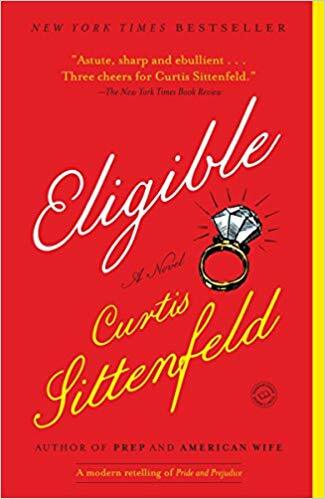 Still, I thought I’d give Eligible, Curtis Sittenfeld’s reworking of Pride and Prejudice, a try. Obviously, some of the dilemmas in the original novel are just not workable in today’s society, a problem that foundered Joanna Trollope’s reworking of Sense and Sensibility. Sittenfeld is wise enough to realize this and has made significant changes to the characters and plot. Liz Bennett is a magazine writer who lives in New York. She and her sister, Jane, a yoga instructor, have returned to their home town, Cincinnati, to help out after Mr. Bennett’s heart attack. Their help is needed even though their three younger sisters, suffering from failure to launch, are still living at home, because they are doing nothing. Mrs. Bennett, a social climber, is too involved in running a charitable event to take her husband to his doctor’s appointments. Jane is pushing forty, so she started in vitro fertilization before returning home. Then she meets Chip Bingley at a charity event. Jane and Chip immediately become involved, but Liz has formed a negative impression of Chip’s friend, Fitzwilliam Darcy, because of remarks she overhears at a party. Liz has been involved for years with Jasper, a man she fell in love with in her early 20’s. Jasper claims he has an open marriage, and he has been seeing Liz on the side. When Jasper hears Liz has met Darcy, he hints at some misbehavior of Darcy’s when the two attended Stanford together. Of the Austen Project novels I’ve read, this is the most successful rewrite, but the bar is fairly low. Although the dialogue is humorous, it’s not the sparkling dialogue of the original. Kitty and Lydia, for example, are almost unbelievably vulgar and poorly behaved. It’s also hard for me to believe that these days a mother would be pushing marriage after Jane and Chip have only had a few dates. I was fairly well entertained, though, until the emphasis went to the Eligible reality show. Although I’m sure Sittenfeld had fun with her parody, that’s where I felt the novel lost steam. Vera Stanhope has taken her doctor’s advice and is swimming regularly at a health club. One morning, she finds the body of a middle-aged woman in the steam room. She has been strangled. The victim is Jenny Lister, a social worker. She seems not to have any enemies, although she was the supervisor of Connie Masters, a social worker who was recently vilified when a boy under her care was murdered by his mother. Jenny’s daughter, Hannah, is devastated, and Hannah’s boyfriend, Simon Eliot, is very protective of her. At the health club there has been a series of petty thefts, and Jenny’s handbag is missing. The thefts started when Danny Shaw became a cleaner, but are the thefts connected to the murder? Jenny might have been writing a book that she kept in the handbag. 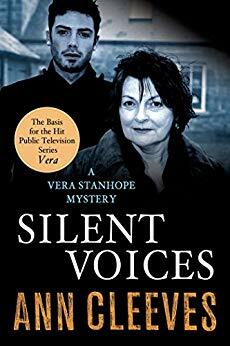 As the investigation goes in several directions, Vera’s team soon feels as if it has too much to handle. Then Danny Shaw’s body is discovered. This is another of Ann Cleeves’s complex but engrossing mysteries, set in Northern England. I think that Cleeves really has a talent for characterization and complex plots. I am enjoying this series. 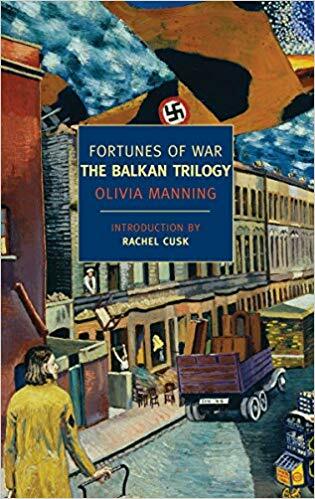 The Great Fortune is the first book of Olivia Manning’s Balkan Trilogy called Fortunes of War. I didn’t know quite what to think of it but am interested enough to continue. Harriet and Guy Pringle are newlyweds on their way to Bucharest in the autumn of 1939. War is on the horizon, but Guy is in a reserved profession as a teacher at a university. It is his second year in Bucharest, and Harriet realizes very quickly that, while she is a stranger, Guy has already made a place for himself there among the English expatriates and diplomatic staff, the university staff, as well as other groups. Harriet is not always a fan of his friends, particularly Sophie, a Rumanian student who would like Guy for herself, and Prince Yakimov, an English-born son of a Russian expatriate. Yakimov was once the companion of a wealthy woman and has been left destitute upon her death. Although everyone is interested in the worsening news from Western Europe, they are also oddly detached. For example, Guy has been warmly welcomed into the home of the Druckers, he a Jewish banker whose son is Guy’s student. When the king’s mistress wants his oil rights, both Drucker and his son are arrested for pro-German sympathies, the son because the father’s Swiss bank accounts are in his name. Although the agriculturally rich Rumanians are supplying much of the German food, he is not released, nor do we hear much about his fate. I thought Harriet supercilious and Guy totally oblivious of the results of his actions on others, particularly Harriet. Still, I found this period and setting interesting.